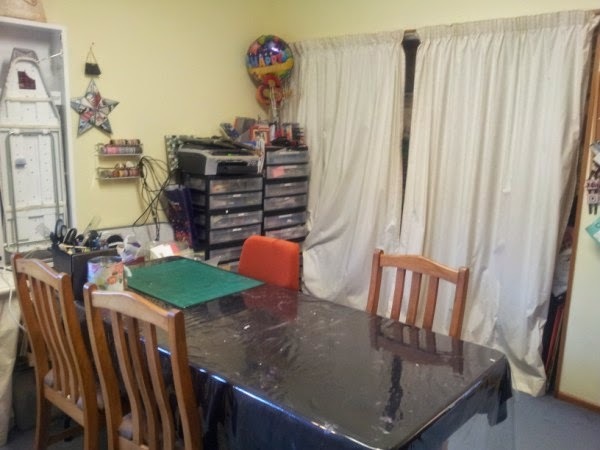 I have spent the last two days sorting out my craftroom - something us crafters seem to do (well NEED to) once or twice a year! lol so before it gets 'messy' again I thought I'd share my space with you. 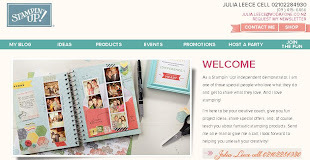 Above photo is where most of my Stampin' Up! tools and toys are. 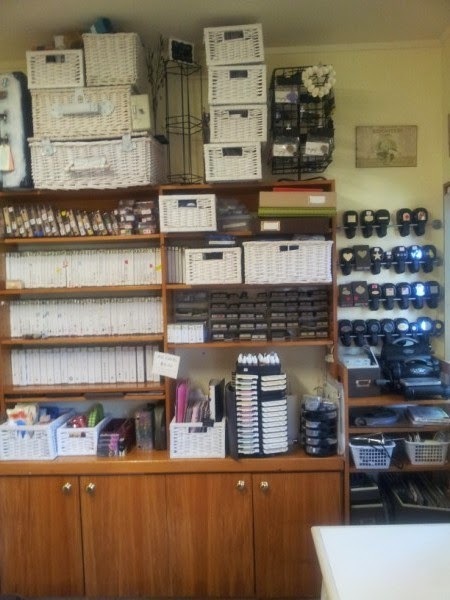 You can see the stamps, punches, inks etc. The baskets right at the top of the cabinet is cards etc ready for selling. Plus my racks for markets. 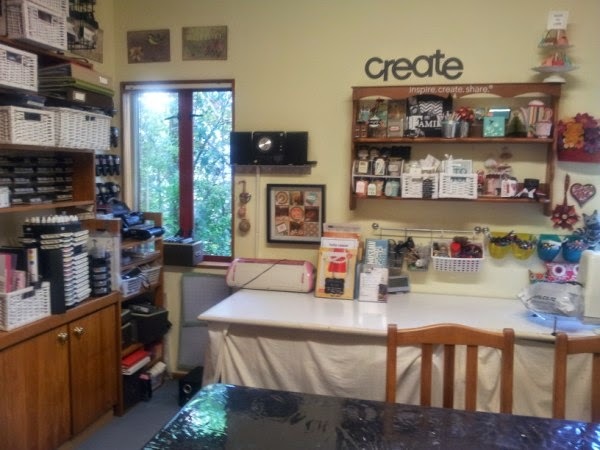 In the cupboards are my Stampin' Up! 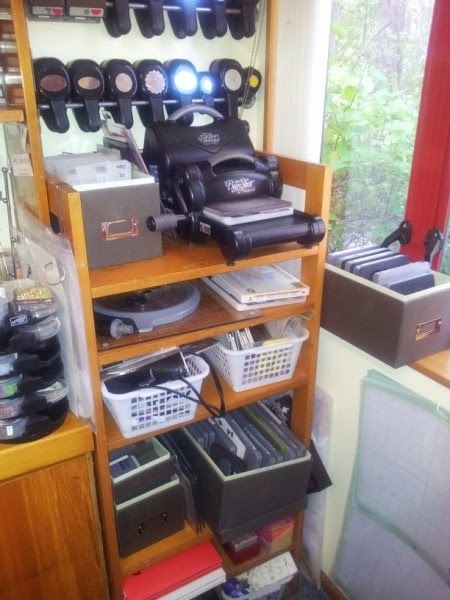 cardstock etc - well away from sunlight. This is my 'sewing' corner. Underneath the desk is boxes FULL of fabric - whoops! lol And more under the sheet by the window - that's the stuff I'm working with now. This is the table I use for teaching. The drawers at the back hold papers, tools etc. 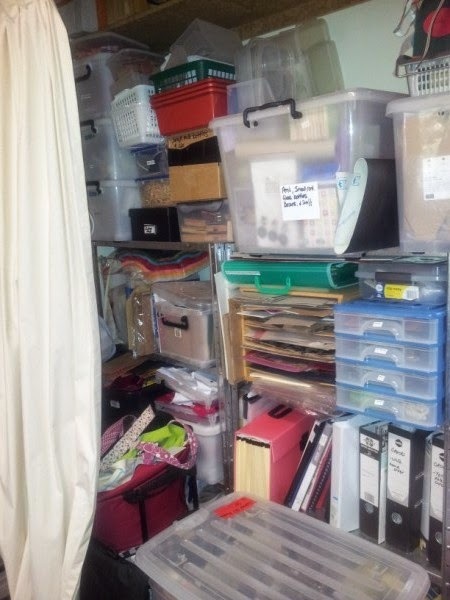 These two photos show inside the cupboard behind the curtain. 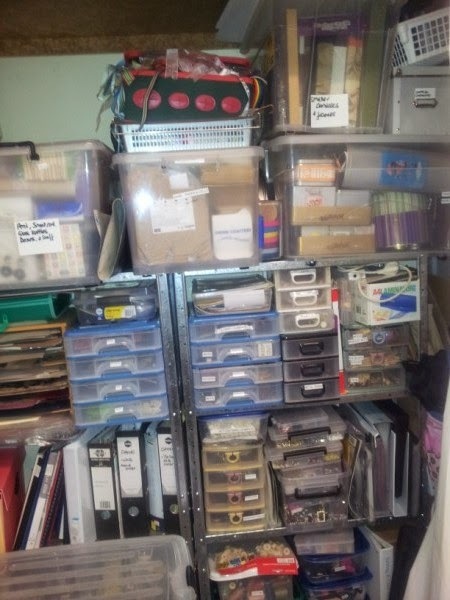 Lots more tools, and supplies - retired product and storage containers etc. This is an overall view of the room. I like to look up when crafting and seeing nice things on display in my shelves. Some are personal stuff some are current samples. 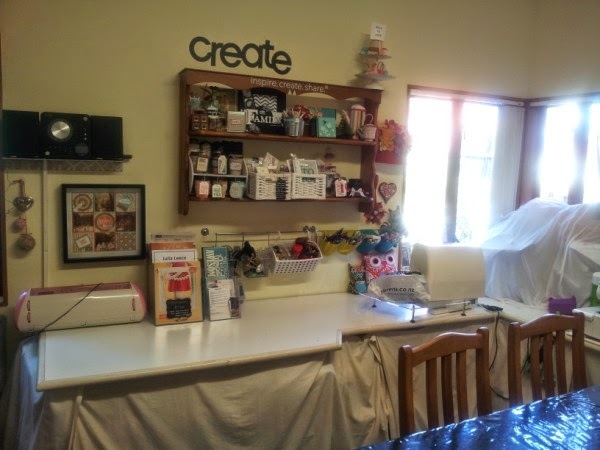 Thanks for stopping by and visiting my craft room.